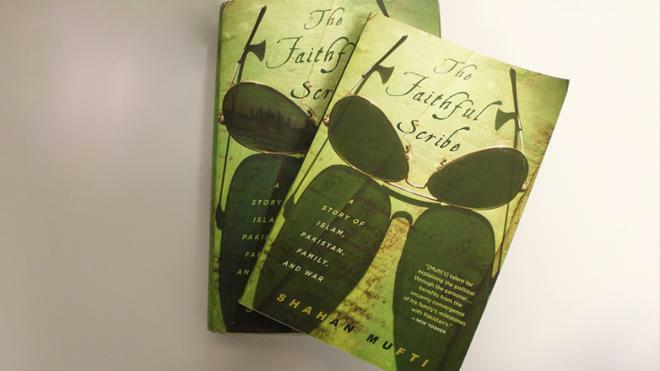 “The Faithful Scribe,” by assistant professor of journalism Shahan Mufti, is both the personal story of Mufti’s family and an account of Pakistan’s complex history. Themes of faith, nationalism, family and war are woven throughout the book. "Very few writers ever get to have their books become part of the culture of a vibrant university campus for a whole year, and to have my own university community read this story is truly special," Mufti said. In “The Faithful Scribe” Mufti describes himself as “one hundred percent American and one hundred percent Pakistani.” Published in 2013, the book uses his personal experiences, including his time as a news reporter, to capture the larger story of Pakistan, the world’s first Islamic democracy, and its relationship with America. Mufti has written for a variety of newspapers and magazines as a freelance journalist. He has covered Pakistan and the political evolution of Islam for a number of major publications, including The New York Times Magazine, The Atlantic and The Wall Street Journal. He has worked at the University of Richmond since 2012. One Book, One Richmond is a campus-wide effort that encourages students, faculty, staff and members of the Richmond community to read and discuss a selected book on a social justice issue. Past selections have examined mass incarceration, food insecurity and poverty. The effort is led by the Bonner Center for Civic Engagement with a committee of students, faculty and staff representing all five academic schools as well as departments across campus. One Book, One Richmond will offer programming with campus partners throughout the academic year. Many UR faculty members incorporate the One Book, One Richmond reading into their classes. New this year, all students in first-year living-learning programs will read the book as part of their introduction to the University of Richmond and participate in related discussions and programming. The keynote event is planned for the spring semester. Details will be announced at a later time. "Very few writers ever get to have their books become part of the culture of a vibrant university campus for a whole year, and to have my own university community read this story is truly special." -Shahan Mufti, UR journalism professor and author of "The Faithful Scribe"